Home » About » Meet Our Team! Lisa started Growing Your Baby in 2006 after her son was born 4 months early. 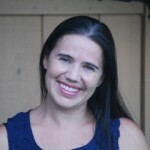 Now the mom of two, her blogging career started with a personal blog about her son’s journey and expanded with a site for all parents looking for information on pregnancy, parenting and gear trends. When she’s not writing about her favorite finds she enjoys spending time with her family at the mall, the beach or the zoo. Travel is her passion and her goal is to show her kids the world. Trip by trip, they are crossing experiences off their bucket list and hope to live in by the ocean some day. 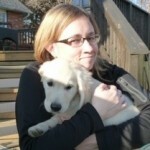 For now Lisa works full time running three sites; Growing Your Baby and World Traveled Family. These moms contribute their unique voices to the site everyday and work tirelessly to ensure that our content is both fresh and accurate. Tanya is mom to one ENERGETIC little boy. With a degree in Early Childhood Education, a love of children and a passion for travel, her aim is to live in the moment as much as possible. 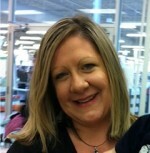 Tanya’s always researching baby and children’s gear and has a love for anything that makes parenting “easier”. She has a special place in her heart for toys that encourage children to use their imaginations. Tanya’s an avid traveler – having been to over 25 countries in the past four years!!! She writes about traveling with kids and hopes that her tips and suggestions will make your family travel more enjoyable. She offers the perspective and real-world tips that only a mom who travels with her kids can. She loves being with her family, going to the cottage and spending time outdoors. She also often has her camera with her, as photography is something she also enjoys – she may even share some of her photos and journeys with you from time to time as well. And of course, there are also just those silly and crazy family experiences along the way that keep life interesting. Lisa loves all things nature and animal related and hopes to pass on her appreciation for wildlife and our earth to her two young boys. Her oldest son with special needs has taught her we are all different and have something to offer the world in a unique way. She is an advocate for him and others with different abilities. Lisa and her husband enjoy spending time year round at the family cottage and taking the boys to new places to discover. When not writing you will often find her telling silly stories or singing and dancing with her sons. Jen R should have been a spy; she would have been really great at it. Instead, she has found limitless happiness raising a future international man of mystery. She is a writer, a maker of suppers, a kisser of boo boos and a finder of lost things. She would always prefer to watch politics than sports and will never watch a soap opera…ever. 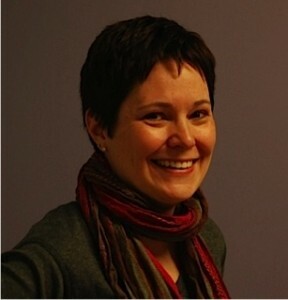 Cathy Givans is a wife, a mother of five littles and a freelance writer. She nursed all five of her children and is an advocate for breastfeeding rights and benefits. She has made her own cloth diapers and enjoys reading to her children when she has free time. Cathy and her family are learning how to live green and changed to a vegetarian lifestyle about a year ago. They are currently working on moving into a complete vegan lifestyle. I came across my photo on google and found my story on your website. I am writing in regards to the article about the birth of my son, Maverick written by Atula. It is in-accurate in some areas. You can email me for the correct details if you like.